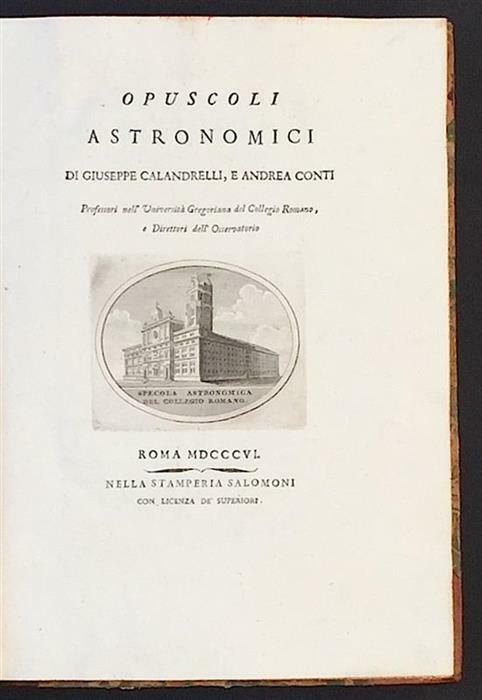 Giuseppe Calandrelli (1749-1827) was an Italian self-educated astronomer and mathematician. 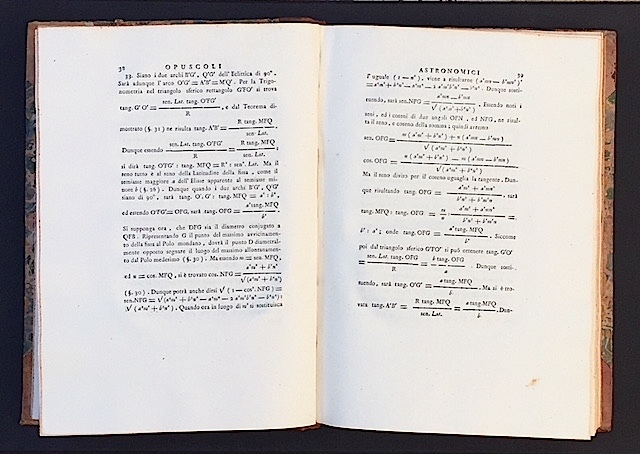 He reported in 1806, by means of observational data, the stellar parallax of Vega / Alpha Lyrae. This discovery was nothing but the observational proof of heliocentric model. Stellar parallax, or ''the apparent shift of the position of any other star against the background of distant objects'', is very hard to detect. The most recent small and medium-sized positions of the Earth, the very small observing is largest at the intervals of about six months, when Earth arrives at the exact opposite sides of the Sun in its orbit, giving a baseline of two astronomical units between observations. 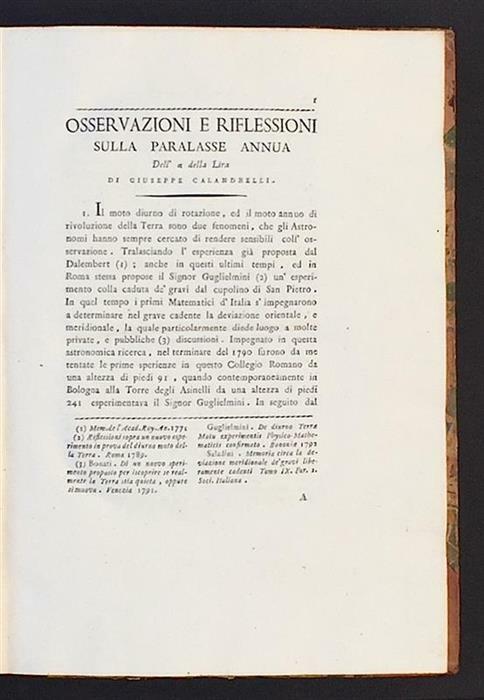 Its apparent absence was used as a scientific argument against heliocentrism for thousands years..
Calandrelli's paper appeared in ''Opuscoli astronomici'' published by Salomoni, Rome, 1806. 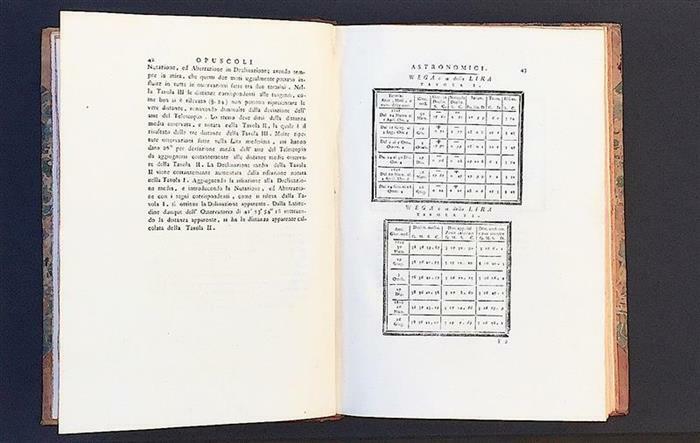 The book, printed during the Napoleonic Wars, is very rare. Except our copy, we found only three copies located in: Rome - Sapienza University, Zurich - ETH Library, and Paris - Bibliotheque Nationale de France. Due to the scarcity of this book, two remarkable historical studies on stellar parallax, namely: ''Attempts to Measure Annual Stellar Parallax’’ by Mari Elen Why Williams (1981), and ‘’Parallax’’ by Alan W. Hirshfeld (2013), superficially related about the work of Calandrelli. Mari Williams indirectly mentioned him after the French astronomer Jean Delambre; and according to Hirshfeld, Calandrelli was a ‘’parallax hunter’', an absolutely ungrounded epithet, and nothing more, for the simple reason that the Italian does not even mentioned in the general bibliography. As a proof of the rarity of Calandrelli's paper is the fact that his title is wrongly noted everywhere, online environment included. M. E. W. Williams even wrote twice Guyseppe [sic] C.
In his study, Calandrelli deals with the issue both quantitatively and qualitatively. Its approach is meticulous, and it is worth to note that he quotes Roger / Rogerius Boscovich seventeen times. 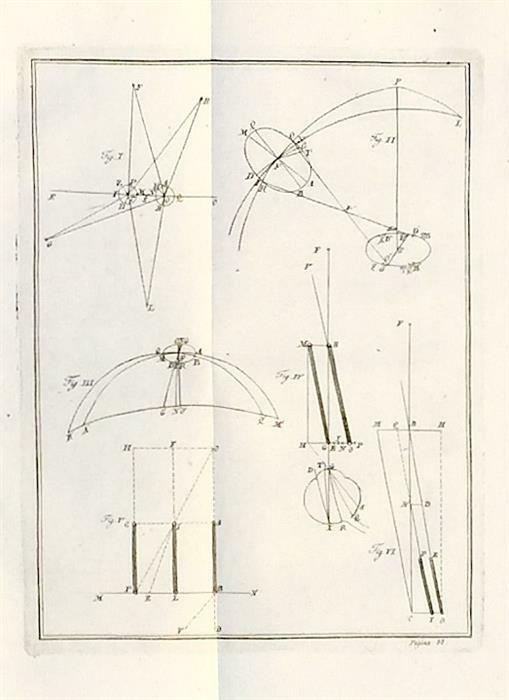 As a result of the technical limits of his achromatic telescope (the Fraunhofer-type heliometer was not yet built), Calandrelli reported the distance between Earth and Vega of 264 light-days, 9 hours, 53’, 1/2’’, corresponding to a parallax of 3’’,9 and not 25 light-years, a correct value. We can, however, wonder: who was more accurate in measurements - Calandrelli in 1806, or today’s astronomers who place quasars, like Markarian 205 and 3C 48 - by means of redshift data - at billions (yes, billions!) 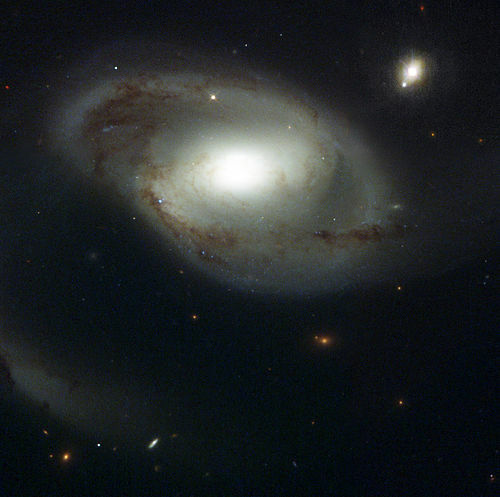 of light-years further away from their companion galaxies? 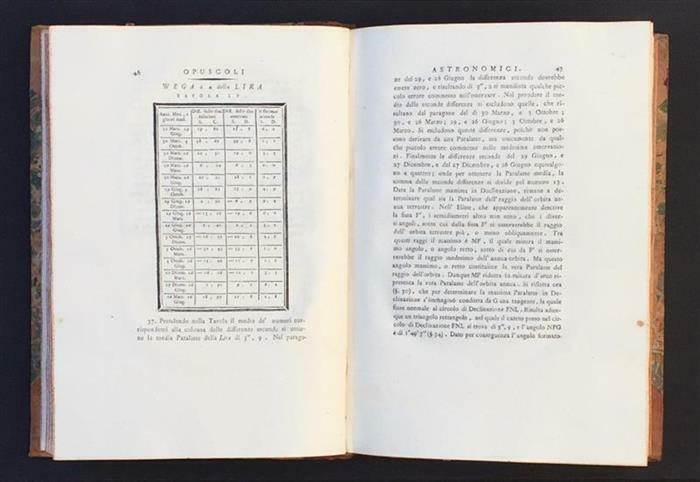 ''Osservazioni e riflessioni sulla parallasse annua dell’alfa della Lira'', 1806 [The First Discovery of Stellar Parallax] in ''Opuscoli astronomici'', Salomoni, Roma, 1806; first edition, pp. 1-88 [11 tabs. ], [one fold. plt. with figs. ]; in 4to (30 cm). 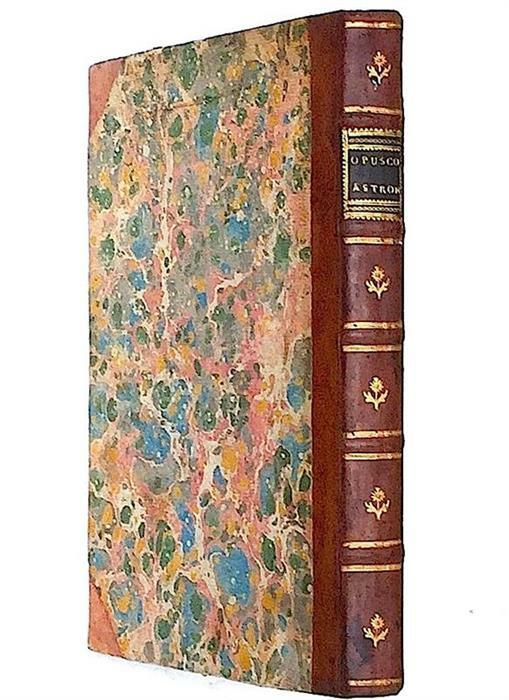 The book is printed on very thick paper; it is immaculate and bound in a very good vintage half lether binding; the covers in nice marbled paper; red edges. Not ex libr. Fine condition. Extremely rare.